February 12 has seen some very bad days in the automotive industry. In 1957, a fire destroyed much of the Jaguar Browns Lane factory in Coventry including some vehicles that were being transitioned from D-type race cars to street-legal XKSS autos. As a Corvette fan, this day also has a bad connotation as it was on February 12, 2014 that a large sinkhole swallowed eight historic Corvettes at the National Corvette Museum in Bowling Green, Kentucky. Three of the eight—the ZR1 Blue Devil prototype, the 1,000,000th Corvette, and a 1962 model—have been restored, but the others are on display as they were recovered. 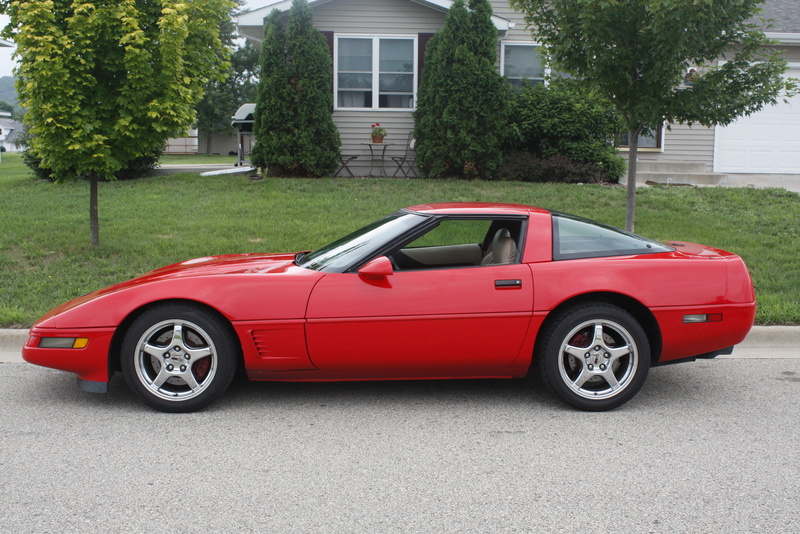 From cargurus.com a picture of the last C4 Corvette, a 1996 model. Five years ago the C4 did not appeal to me, but its clean lines and the introduction of the modern LT1 engine in 1992 have made it a favorite of mine, now. An appeal for comments: this blog will be much better if readers send comments. Also, if you are reading and enjoying please let others know. Thanks.